The city car market is getting pretty crowded these days, with many classy small vehicles available for a good price. The Volkswagen Fox is one of the cars in this category and there are some very good reasons why it has been a big seller in the UK and elsewhere. 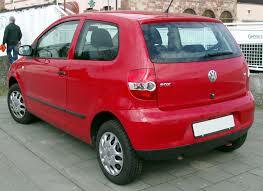 The VW Fox has been around since 2004 but it didn’t hit European roads until 2005. It replaced the Lupo as the company’s lowest priced car in Europe and has been successful in the years since it was first introduced here. There are only two basic models, the Fox and the Urban Fox but the big range of options which were available when buying one as new means that there is a lot of variety around in the models up for sale in the second hand car market. It was brought out in Europe as a 3 door hatchback with either a 1.2 or 1.4 engine. The Fox was only produced until 2011, at which point it was replaced in the Volkswagen line up by the Up. While the Up is a new and exciting car there are still plenty of reasons for choosing the Fox when you look for a compact and economical vehicle from a manufacturer with a strong reputation. The main reason most people will look at a VW Fox is the fact that it is a cheap car, both to buy and to run. This is certainly a big plus point, whether you are looking for a second car as a run-around, you plan on buying your first ever car or for some other reason you want a low cost car. However, the money aspect isn’t the only reason to look at the Fox. For a low cost, compact city car it also offers a good level of security, with twin airbags and an anti locking braking system as standard. Whilst you won’t be expecting a huge amount of interior space in such a small vehicle you might be pleasantly surprised to find that it feels more spacious than could be expected. As far as negative points go, the low price is reflected in the rather basic set of equipment inside it and in the not overly exciting engine. Some people also find the overall design of the car a little bit less than exciting. Overall, it is an easy car to drive and ideal for city traffic but you certainly shouldn’t be expecting something with as lot of power or luxury. The really good news for anyone considering buying a Volkswagen Fox is that it is among the very cheapest cars to insure. In the lowest insurance group of all (1) you will find a couple of the models. In this bottom group are the following models; Fox 1.2 and Urban Fox 1.2. In group 3 you will find the 1.4 litre models of both the basic Fox and the Urban Fox. If you want to keep your insurance costs to an absolute minimum then this is a fine choice of car for you to buy. If you are thinking about buying a car which is cheap to insure then this one should definitely be one on your list. It won’t be the most exciting car you have ever driven but it will be far from the worst. The surprising amount of headroom is possibly the first thing which will strike you and if you look at it in a positive frame of mind you will see a number of other reasons for choosing one.